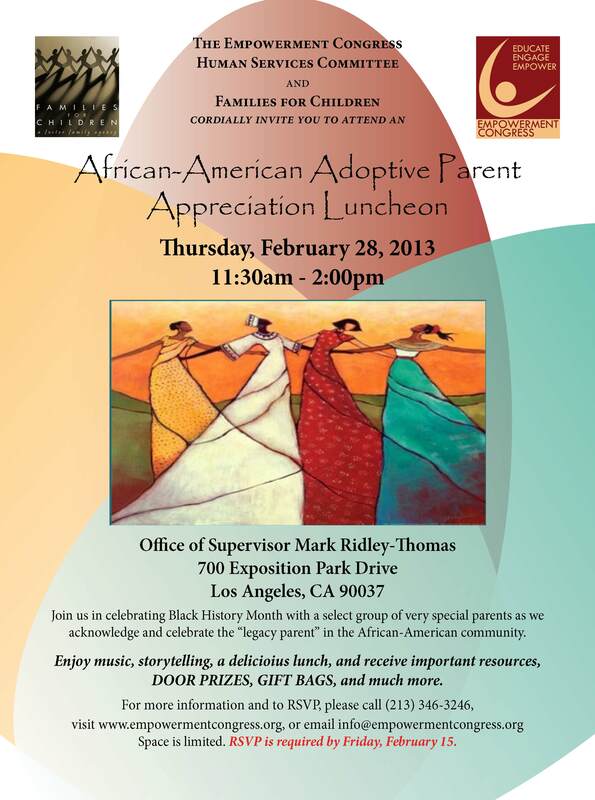 Join the Empowerment Congress Human Services Committee and Families for Children in celebrating Black History Month by recognizing African American adoptive parents. Space is limited. RSVP is required by Friday, February 15.